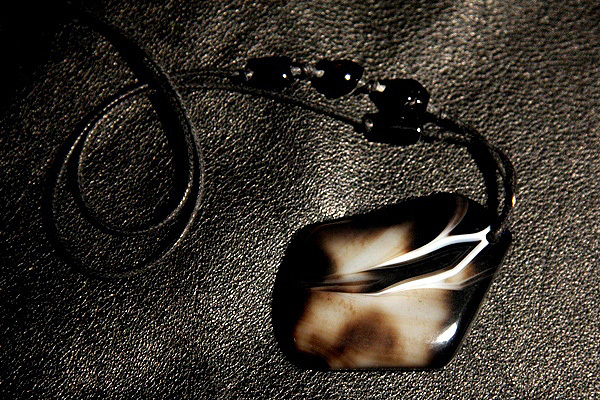 This black and white Agate from Toyah (West Texas) has a nice white flame design with a little Drusy Inclusion. The Drusy surface looks a lot like a collection of sugar crystals. They glisten and shine when the stone is moved or when the light source moves. 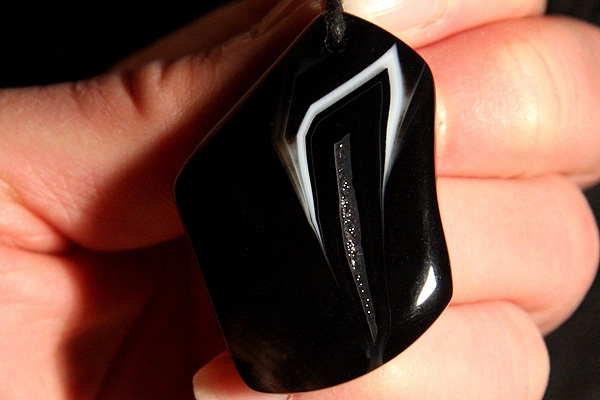 The agate pendant size is 46mm x 35mm. 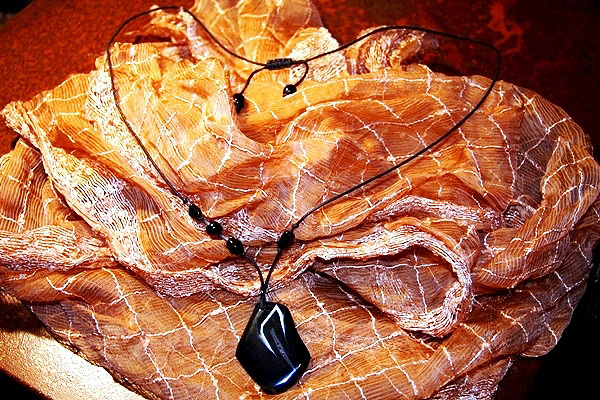 Cotton cord has asymmetrically placed black freeform glass beads. 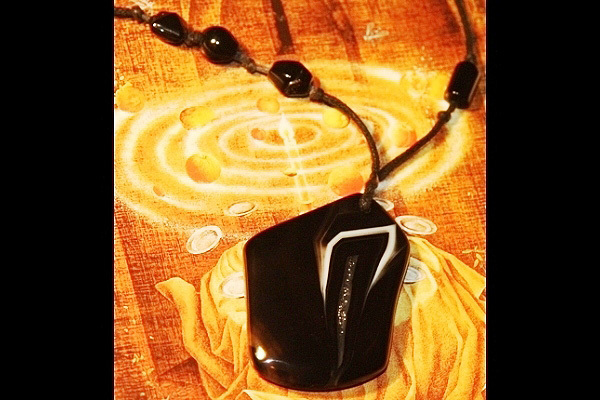 AGATE is Birthstone of May, and it is the zodiac stone of the Gemini. 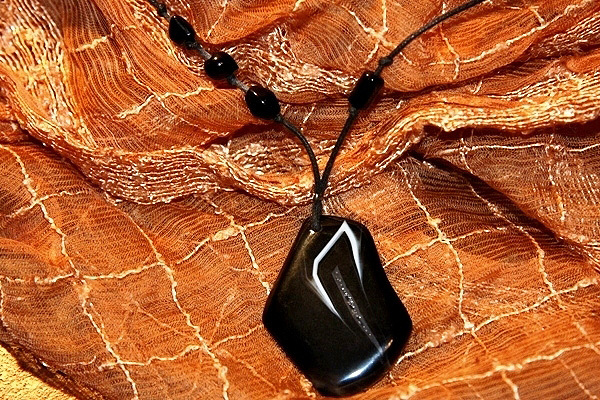 Agate is a variety of chalcedony. Many semi-precious gemstones are in fact forms of chalcedony. 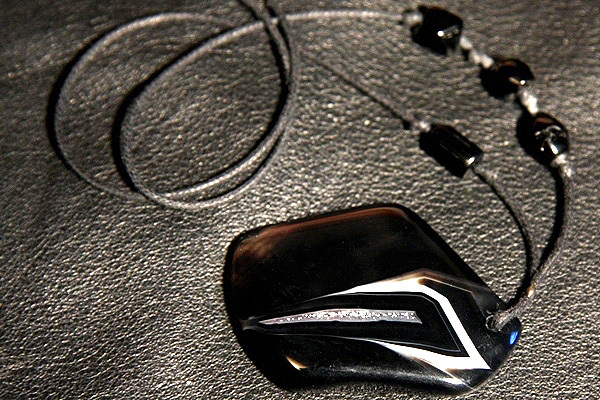 Agate is characterized by its superiority of grain and brightness of color. 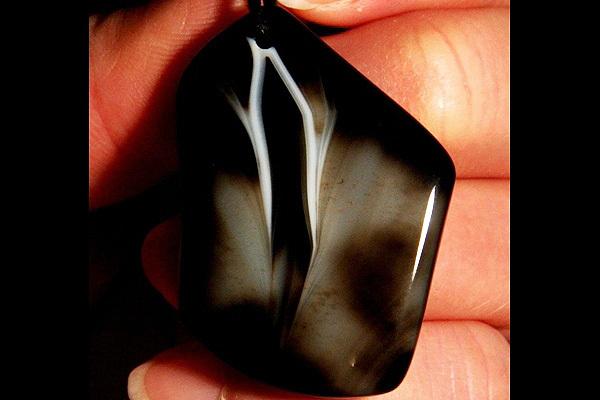 There are endless varieties of agate with a multi-colored curved or angular banding. 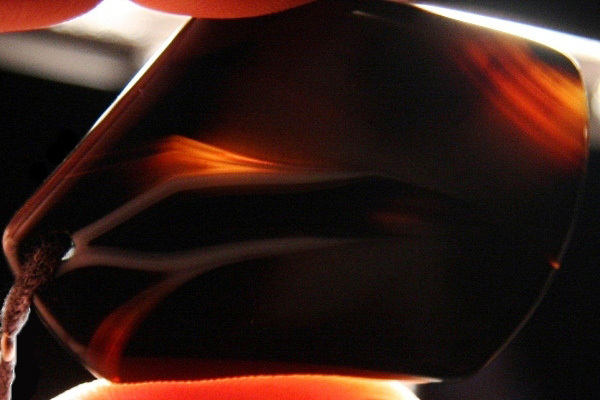 BLACK is associated with power, elegance, formality, and mystery. 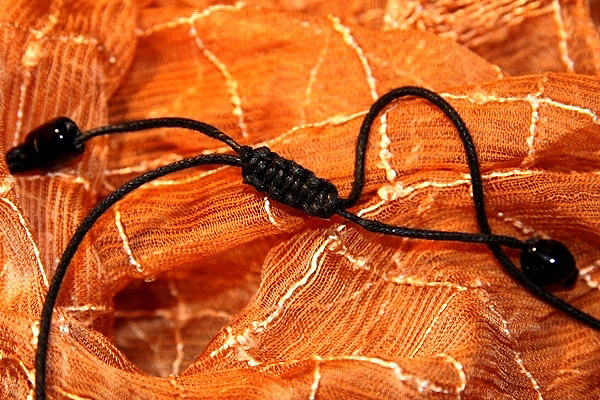 Black denotes strength and authority; it is considered to be a very formal, elegant, and prestigious color (black tie, black Mercedes).